Yes, you heard that right. 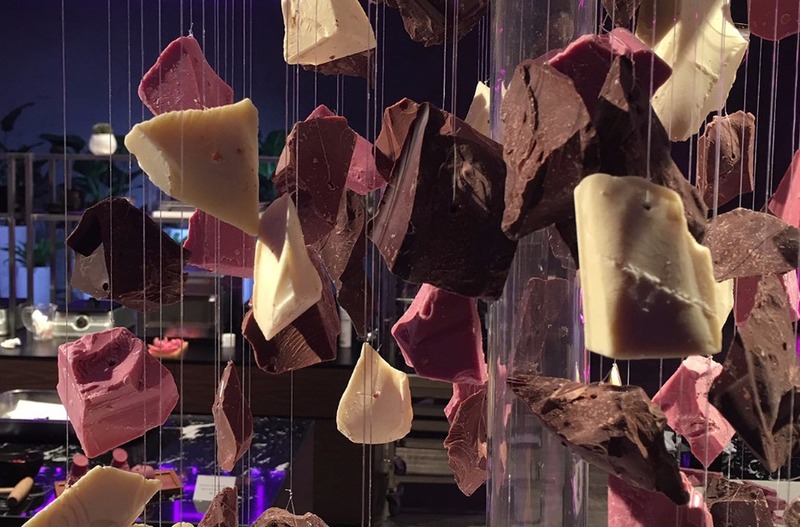 There’s a new chocolate variety making a way to our mouths courtesy of chocolate mega-manufacturer, Barry Callebaut, and its counsel of chocolatiers, and we only had to wait 80 years since the arrival of white chocolate to feast our eyes on it (because seriously, it’s as pretty as it’s sure to be scrumptious). 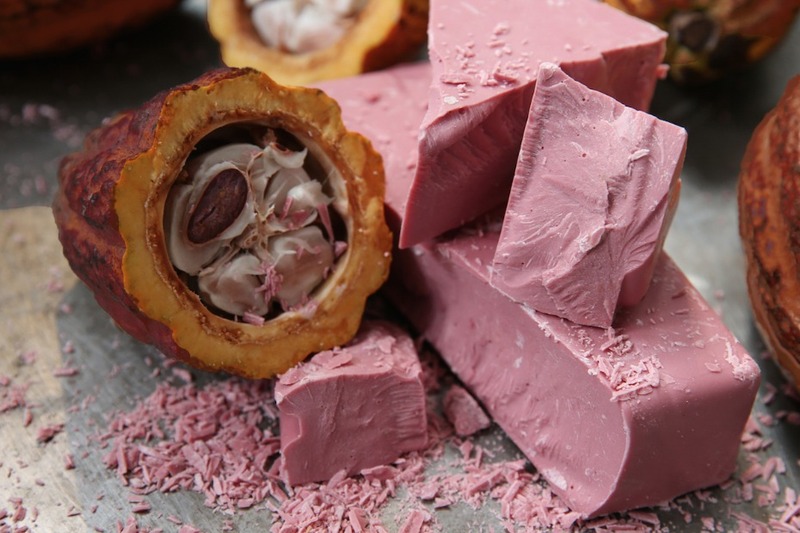 The new soon-to-be-Insta-viral chocolate is a product of the Ruby cocoa bean, naturally rosy in color and sourced from exotic locales like the Ivory Coast to Ecuador and Brazil. Its taste is sensorially that of a Sour Patch - sour, yet sweet - the perfect mix of naughty and nice. The nuances of the bean have been tinkered around with for the last decade+, but now that the berry-fruity flavor and sumptuous smooth texture have been unlocked, this decadence is ready to go live. HUNGRY? CHECK OUT TOP 10 FOOD STATIONS YOU WILL CRAVE AT YOUR WEDDING. Let’s be honest, pastry chefs and wedding cake bakers alike have to be getting tired of hearing bride’s requests for ‘something blush’ to match their all-pink-palettes. 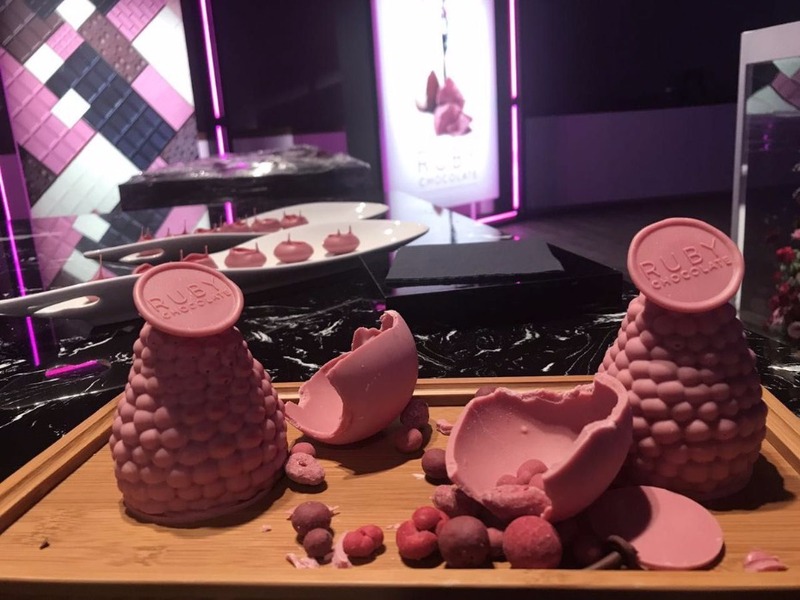 So, they must be DYING to add this new ruby chocolate to their sweet-treat repertoire. Whether to decorate their steampunk drip cakes, blend into their already-berry-bursting buttercreams, glaze their gourmet doughnuts or work into the ganache for pastries and always-popular macarons, ruby cocoa is sure to be #boss. Viennese hours will be getting a major makeover… just add some ruby pink hot chocolate and we’re good to go! Chocolate wedding favors can be as basic as they come, but with ruby making its debut next year, we can see this favor idea getting a lot more love. Or if you’re planning to break out the chocolate molds for your sister or bestie’s bridal shower, think about filling them with some pink chocolate and then getting a little fancier with gold leaf foiling. Want to step it up? Set up a baller dessert table with gorgeous pink petit fours and fondues and make sure to stock up on beautiful berries and berry-flavored foods to dip! What bride hasn’t thought about treating her crew with some trendy truffles and calling it a day? Okay, of course not… but why not add a small box of ruby chocolates to each girl’s gift? Especially if you’re rocking a rose gold theme and want to pair their pieces of jewelry with some extra sweet goodies. Even better: for those guests who have traveled near and far for your special day, leave a ruby chocolate on their pillows. They’ll be obsessed. Really. After all, what’s that phrase we’ve heard from time to time -- forget love, I’d rather fall in chocolate… YAAS, that applies here.